Manufacturers & Suppliers of Stainless Steel 441 Plates, UNS S44100 Hot rolled plate, DIN 1.4509 Chequered Plates in Mumbai. ASTM A240 / UNS S44100 / DIN 1.4509. 441 Stainless Steel Plates, ASTM A240 Stainless Steel 441 Hot Rolled Plate, SS 441 Plates, SS 441 Sheets, WERKSTOFF NR. 1.4509 Sheets, UNS S44100 Plates, DIN 1.4509 Plates, Grade 441 Stainless Steel Embossed Plates, SS 441 Cold Rolled Sheet Supplier in Mumbai, India. 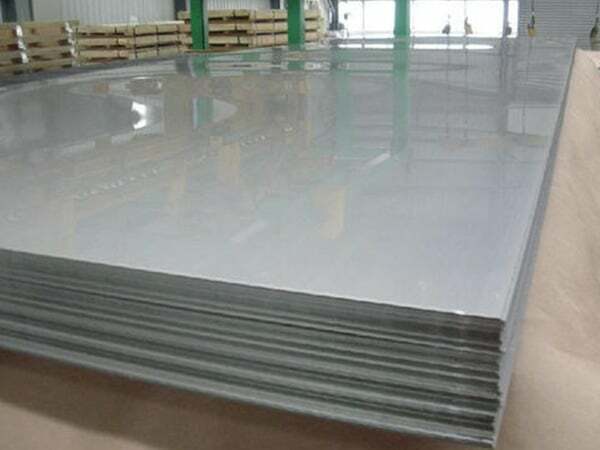 Stainless Steel S44100 Sheets, SS 441 HR Plates Exporter in India, SS 441 Polished Plates, SS 441 Export Polish Plates, Ferrtic Stainless Steel 441 Plates, SS 441 Coils, SS 441 Chequered Plate, SS 441 Diamond Plate, Stainless Steel 441 Mirror Finish Plates. Stainless Steel 441 Plates are a dual-stabilized ferritic steel product with low carbon and 18% chromium content. This grade plate demonstrates better resistance to rust and good elevated temperature strength in numerous exhaust gas atmospheres or systems. It is also good immune to rust or oxidation at soaring temperatures. It is inherently powerful at soaring temps, but columbium add-ons couples with right solution annealing markedly enhance long-term creep rupture strength, as this makes it able for use in applications in automotive and tube industries. The plates are available with Jayesh Metal in different thickness, lengths as well as sizes. Thus, now you can choose this stainless steel plate as per your needs and according to what your application wants. This SS plate is the best product and made up of using high-grade untreated stuff and the latest technology. We have been offering this plate to our users in different ranges and standards like ASTM, BS, DIN, ANSI, ASME and so on. It can be adopted in different finishing condition like pickled, annealed, hot rolled as well as cold rolled. Moreover, the black paint or coating layers are applied to it, to prevent unwanted rust under various conditions. It is light in weight and non-magnetism in nature. When it comes to supply it at miles away, or in other countries, it is packed in seaworthy or waterproof packing material like metal cases etc, in order to prevent from damages and water. With this, the labeling of relevant duty info and manufacturer's name are done on Stainless Steel 441 Plates. SS 441 0.03 max. 1.00 max. 0.04 max. 0.03 max. 1.00 max. 17.5 -19.5 1.00 max. 0.03 max. 0.10 - 0.50 0.30 + 9xC min., 0.90 max. 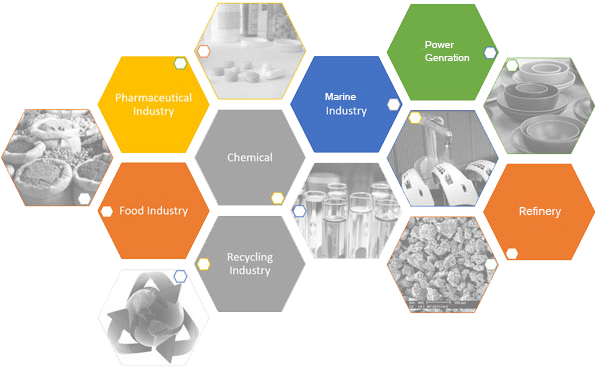 stainless steel 441 plates exporter in mumbai, stainless steel 441 plates exporter in india, 441 plates specification, ss 441 sheet price list, ss 441 hot rolled plates dealers, ss 441 cold rolled plate supplier, stainless steel 441 plate dealers, 6mm stainless steel 441 plate, ss 441 coils price list, 441 stainless steel plate thickness chart, stainless steel 441 plate price list , 15mm stainless steel 441 plate, ss 441 plate price list, 441 stainless steel plate cut to size, stainless steel 441 sheet supplier in mumbai, stainless steel 441 cold rolled sheet distributors, 441 stainless steel plate sizes, stainless steel cold rolled coils supplier, 26 gauge stainless steel plates, ss 441 plates price india, 5mm stainless steel 441 plate, astm a240 ss 441 plates exporter, stainless steel 441 plates exporter in chennai, stainless steel 441 sheet supplier in kapurthala. Italy, Poland, Belarus, Tibet, India, Croatia, Angola, Philippines, Kazakhstan, Sweden, Ecuador, Slovakia, Turkey, Yemen, Chile, Vietnam, Malaysia, Mongolia, Nigeria, France, Bolivia, Costa Rica, Mexico, Lithuania, Netherlands, Taiwan, Hong Kong, Nigeria, United Kingdom, Hungary, Brazil, Canada, United States, Denmark, Singapore, Belgium, Bhutan, Switzerland, Gabon, Nepal, Sri Lanka, Zimbabwe, Poland, Romania, Lebanon, Iraq, Macau, Kuwait, Argentina, Serbia, Estonia, Bahrain, Russia, Norway, Portugal, Saudi Arabia, Trinidad & Tobago,Tunisia, Qatar, South Africa, Morocco, Iran, Pakistan, Colombia, Iran, China, Greece, Finland, Ghana, Puerto Rico, Ukraine, Mexico, Australia, Czech Republic, Egypt, Jordan, United Arab Emirates, Thailand, Indonesia, Peru, Kenya, Oman, Namibia, Bangladesh, Algeria, Germany, Austria, Libya, Azerbaijan, Japan, Venezuela, Ireland, New Zealand, South Korea, Chile, Gambia, Spain, Afghanistan, Israel, Bulgaria. Dammam, Granada, Sharjah, Kanpur, Chiyoda, Perth, Bogota, Jakarta, Milan, Geoje-si, New Delhi, Bangkok, Kuala Lumpur, Jeddah, Bengaluru, Sydney, Cairo, Atyrau, Brisbane, Howrah, Busan, Karachi, Dubai, Singapore, Riyadh, Al Khobar, Courbevoie, Noida, Rajkot, Navi Mumbai, Indore, Petaling Jaya, Dallas, Melbourne, Port-of-Spain, Tehran, Gimhae-si, Kuwait City, Mumbai, Abu Dhabi, Bhopal, Al Jubail, Chandigarh, Thiruvananthapuram, Baroda, Chennai, Istanbul, Ahvaz, Doha, Edmonton, Hanoi, Colombo, New York, Secunderabad, Jamshedpur, Toronto, Muscat, Vadodara, Montreal, Ernakulam, Ranchi, Coimbatore, La Victoria, Pune, Santiago, Madrid, Hyderabad, Calgary, Visakhapatnam, Haryana, Los Angeles, Gurgaon, Caracas, Hong Kong, Algiers, Thane, Ulsan, London, Ankara, Ho Chi Minh City, Vung Tau, Faridabad, Moscow, Pimpri-Chinchwad, Nashik, Manama, Mexico City, Lagos, Jaipur, Rio de Janeiro, Aberdeen, Lahore, Houston, Ahmedabad, Nagpur, Seoul, Ludhiana, Kolkata, Surat, Kapurthala.